11:41 | Lima, Nov. 28. 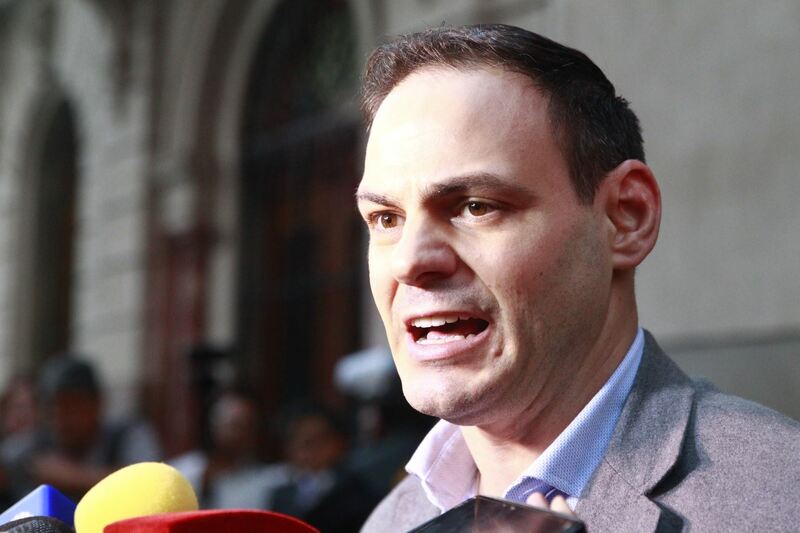 The Judicial Branch has approved the request to forbid Mark Vito Villanella —Fuerza Popular party leader Keiko Fujimori's husband— from leaving the country for 36 months, within the framework of an ongoing investigation related to alleged money laundering offenses. Earlier this month, Prosecutor Jose Domingo Perez opened a preparatory investigation and requested a travel ban against US-born Villanella. The prosecutor made the decision to start a probe on him for the purchase of two lots south of Lima —worth S/617,329 (around US$183,129)— using alleged illegal funds. Last October, Judge Richard Concepcion Carhuancho ordered the preventive detention of Keiko Fujimori over alleged money laundering charges. The judge considered the daughter of former President Alberto Fujimori posed a high risk of flight, plus this measure would prevent disruptions to the probe. The magistrate said there is serious suspicion that Fuerza Popular leader Fujimori had allegedly participated in money laundering offenses, as the head of a criminal organization within the party. Additionally, Concepcion Carhuancho confirmed there is a high degree of probability that Odebrecht had paid US$1 million to Keiko Fujimori's 2011 campaign through fake donors and unjustified activities. The magistrate pointed out the money came from the Division of Structured Operations —the Brazilian company's bribery department. Thus, the assets —intended for the campaign— were illegal and derived from unaccounted payments. Likewise, this affirmation was supported by former Odebrecht executives' statements given to the authorities through plea bargain deals.